Here is a new report on how much it costs the Galaxy S9+ to make. Previously, TechInsights’ estimates put the Galaxy S9+ as being more expensive to make than the Galaxy Note 8, but less costly than the iPhone X. Now, we’ve received another report on the bill of materials for the 6.2-inch flagship, and they are as high as ever. 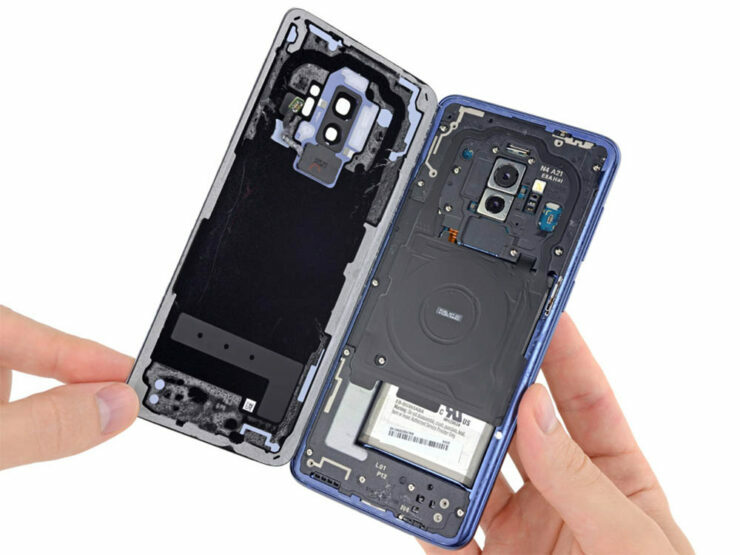 According to new estimates from IHS Markit, the new Samsung Galaxy S9+ bills of materials (BOM) are $43.00 USD higher than that of Galaxy S8+. At $375.80 USD, the BOM of the handset with 64GB of NAND flash memory is a lot higher than all the previous versions. The 64GB Galaxy S9+ retails at US$839.99. One of the highlights of the phone is the 12MP dual-lens camera with a variable aperture system, a first for smartphones and a first for Samsung. It gives better results in dim-lighted areas and also supports shallow depth-of-field effects. The aggregate BOM cost for the primary, secondary, iris camera and other climbs up to $44.95 USD. The primary camera alone costs the company $34.95 USD. Galaxy S9+ is powered by Snapdragon 845 and is armed with a Cat. 18 LTE and this costs $67.00 USD to incorporate. Galaxy S9+ also sports an iris scanner and 2D facial recognition system to unlock the phone. The flagship’s 6.2-inch Quad HD+ Super AMOLED display costs $79 USD and is the priciest component of the entire device. In addition, Galaxy S9+’s wireless charging has been upgraded to 15 watts from 7 watts in the Galaxy S8+, so that much power will obviously be associated with some level of costs.